Don’t want to sign up to a long contract? iD SIM-Only deals are a spot-on way to keep your freedom. 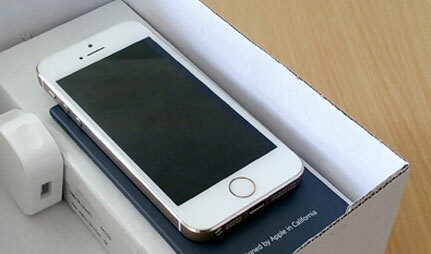 This one is a Multi-SIM, which means it's compatible with any size SIM slot. Result. SIM Only plans from iD Mobile offer great flexibility thanks to it's 30 day rolling plans. You don't have to commit to a lengthy contract and can find the plan to suit you. SIM Only is also a hassle free way to boost your credit rating, especially if you've been declined for a phone contract in the past. Get all the benefits you would normally get with a regular pay monthly phone contract but with added value. Why Choose ID Sim Only? 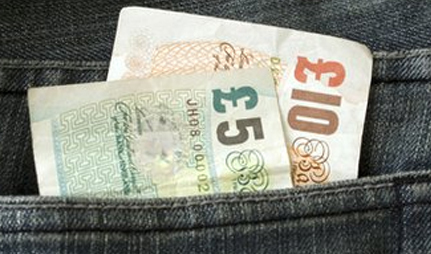 Looking to save a bit of cash on your mobile bill each month? If you’re happy with the handset you currently own, and your contract has finished, why not order a SIM only plan to reduce your monthly payments? With money-saving plans and shorter contracts, iD SIM only puts you in control. When you order an iD SIM only deal, you’ll still receive the same great benefits as you do on a handset contract. This means you’ll enjoy tip-top coverage, free international roaming, and shockproof bills that can be capped as required. The iD mobile network share mobile masts with Three to ensure maximum coverage for customers. In fact, iD signal covers a whopping 98% of the UK population, so you’ll be sure of quality voice calls and superfast 4G connection in loads of locations. If you love to steam movies and songs, or just browse the web whenever you’re on the go, make the most of 4G on a monthly plan that won’t break the bank. Choose a Takeaway plan and stay in touch with everyone at home at no added cost. With iD’s special roaming plans you can use your monthly allowances across the globe at no extra cost. And even if you’re not on a takeaway plan, you can enjoy free roaming throughout the EU without having to purchase a bolt-on, with iD. No one likes a nasty shock when their bill arrives at the end of the month, and iD are committed to putting you in control, and making sure you always know what you’re spending. You can amend your cap settings through your iD account - it’s pre-set at £5 over your allowance - and once activated you won’t be able to go over your monthly spending, in accordance with the limit you’ve set. Handy! 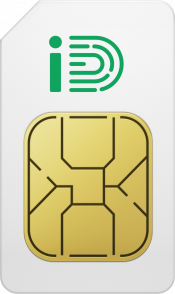 Fancy an iD SIM only upgrade, but your last purchase was an iD mobile contract? Don’t worry, you can upgrade to SIM only, regardless of what type of iD agreement you’re currently on. With an upgrade, you can carry your number over to your new plan without the hassle. You can upgrade at no extra cost when your current contract comes to an end, or if you wish to upgrade early, you’ll need to pay an early-termination fee, equivalent to the remainder of your contract.